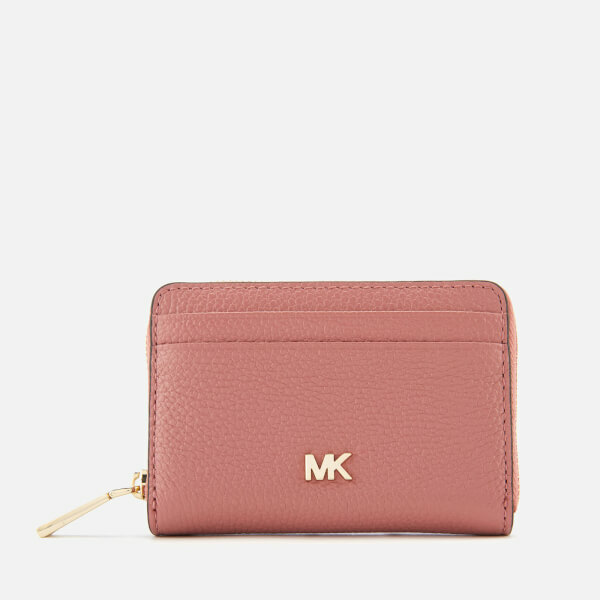 Pink grain leather card case from MICHAEL MICHAEL KORS. 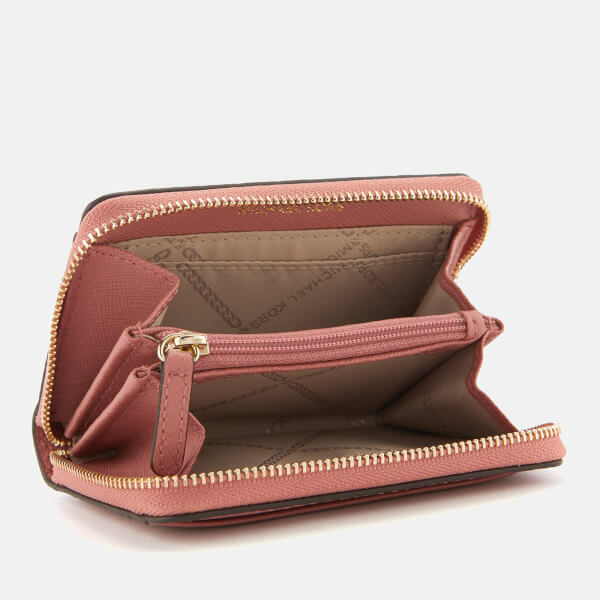 Secured with a zip around closure, the ‘Money Pieces’ cardholder has an accordion-style design with four card slots, two open compartments and a central zip pocket for coins. 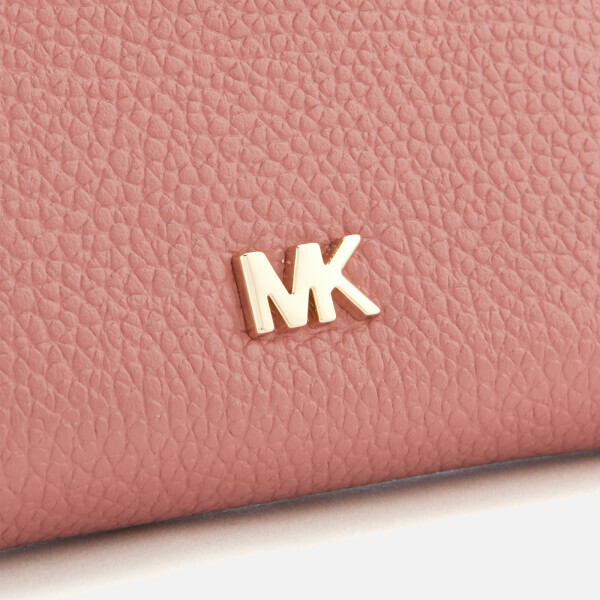 The exterior of the purse is detailed with four slip pockets and a gold-tone metal ‘MK’ logo to the front. 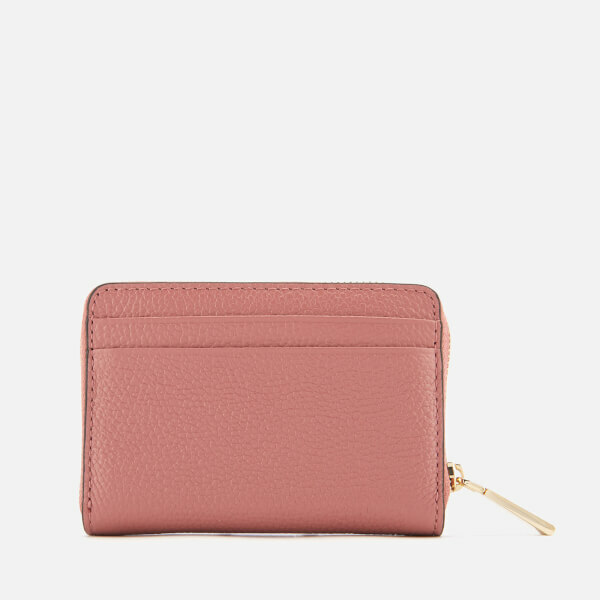 Gold-tone hardware throughout.